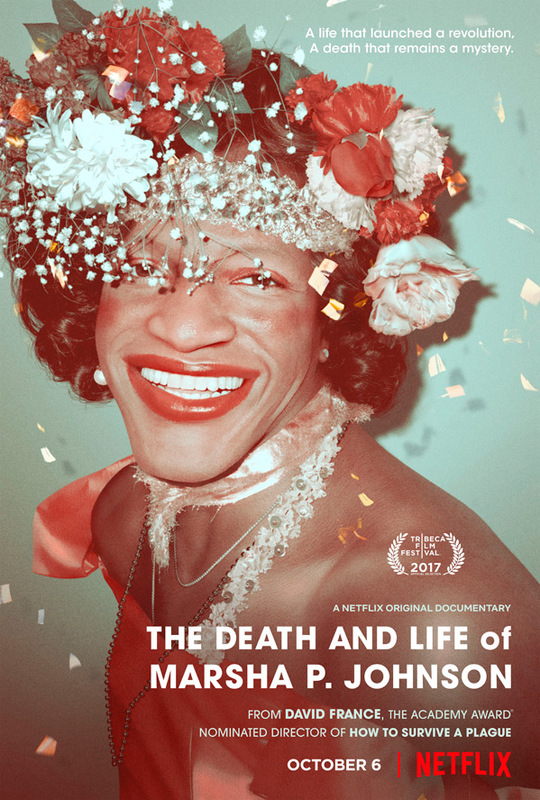 "Don't play detective yourself…" Netflix has debuted an official trailer for a documentary titled The Death and Life of Marsha P. Johnson, the latest film from the director of the Academy Award-nominated How to Survive a Plague. David France's new doc is about a civil rights activist named Marsha P. Johnson. She was found dead in the Hudson River in 1992, though there was no investigation because the NYPD ruled it a suicide. Johnson was the "beloved, self-described 'street queen' of NY's gay ghetto" who fought for many great human rights changes back in the 1970s. The doc re-examines her death and dives deeper into what might've happened, spending time with Marsha's old friend and fellow activist Victoria Cruz. After being blown away by How to Survive a Plague, I'll watch anything by David France. This looks very compelling. Who killed Marsha P Johnson? When the beloved, self-described "street queen" of NY's gay ghetto was found floating in the Hudson River in 1992, the NYPD chalked it up as a suicide and refused to investigate. However, as shown in Academy Award nominated director and journalist David France's new film, it's a decision many questioned. Having played a pivotal role in the previous year's Stonewall Riots, in 1970, Johnson and fellow trans icon Sylvia Rivera formed the world's first trans-rights organization, STAR (Street Transvestites Action Revolutionaries). And despite their many challenges over the years – homelessness, illness, alcoholism – Marsha and Sylvia ignited a powerful and lasting civil rights movement for gender nonconforming people. The Death and Life of Marsha P. Johnson is directed by filmmaker / journalist David France, of How to Survive a Plague previously. This first premiered at the Tribeca Film Festival. Netflix will release the doc in both select theaters + streaming starting October 6th.